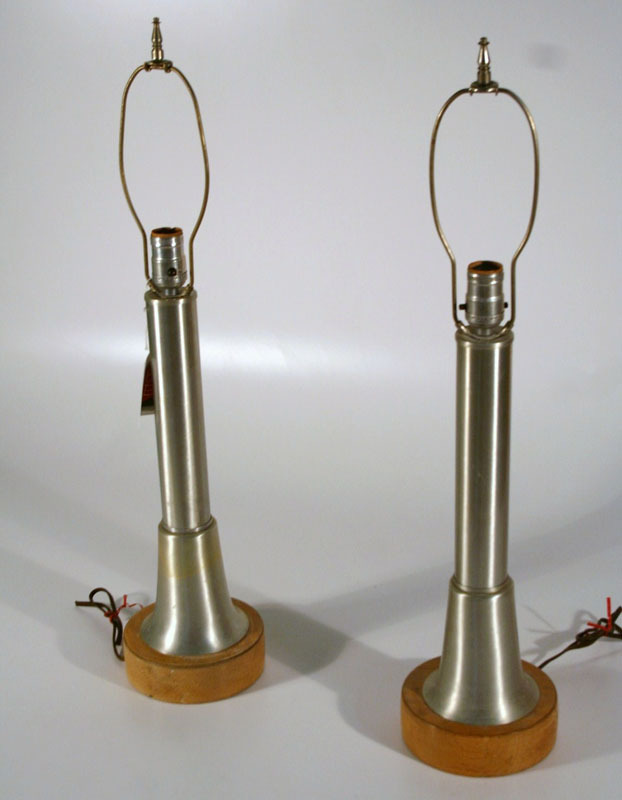 a metal pair of Mid Century Modern Boudoir Lamps, a classically modern version of the boudoir pair. 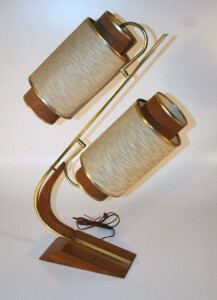 Great example of the Mid Century Modern black and white style. 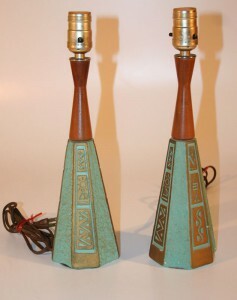 Original finial. There is another in inventory but the finial has been broken. 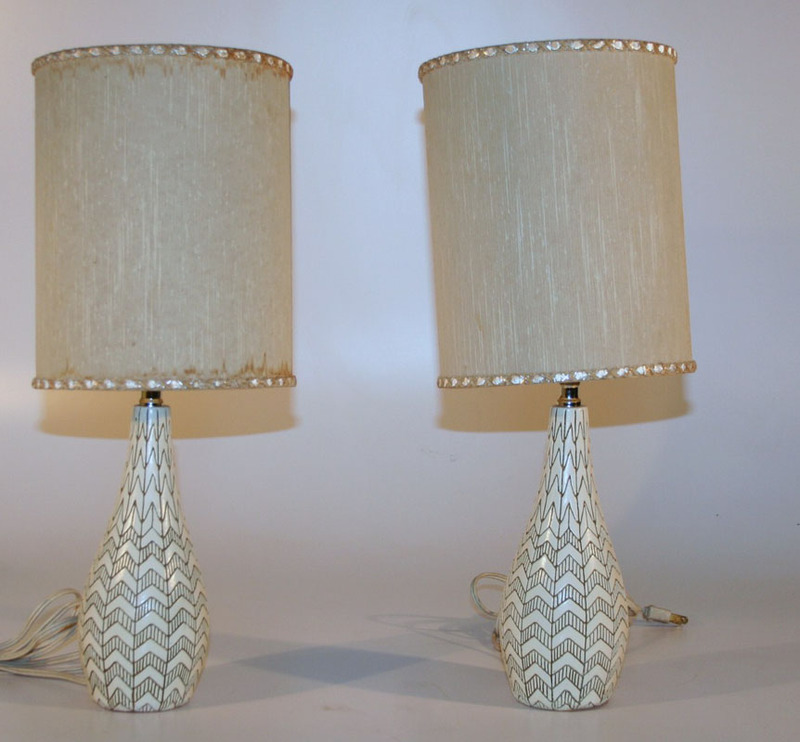 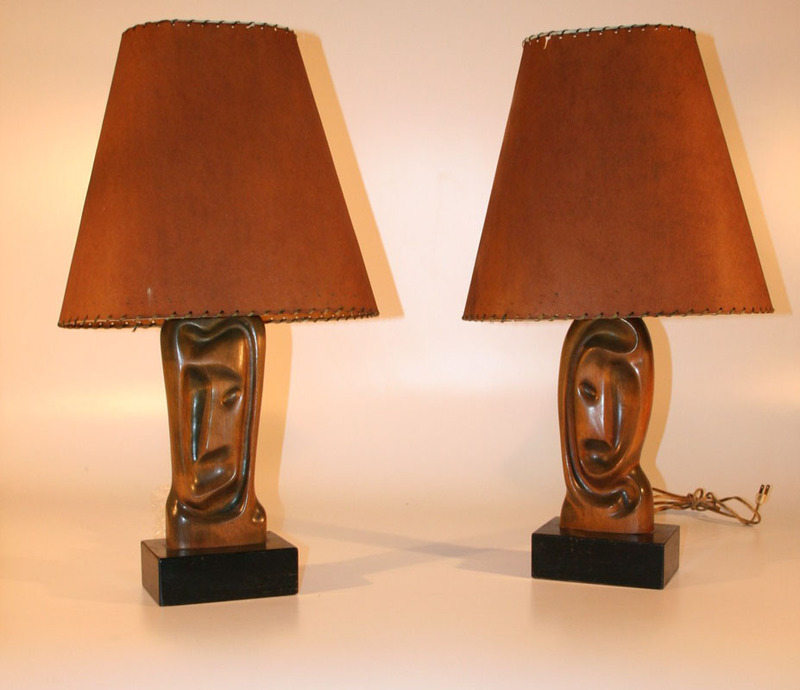 a delightful pair of Mid Century Modern Boudoir Lamps with original shades. 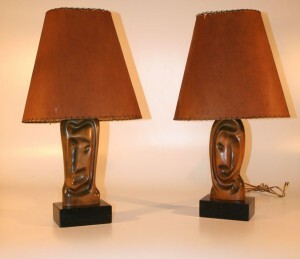 a good pair of Post Modern Lamps.